OXID eXchange | eComOxidERPTrackingPlugin 1.1.0 | Stable | EE, PE | 4.0.x - 4.9.x/5.2.x | Module, Themes, Language Packs direkt herunterladen! 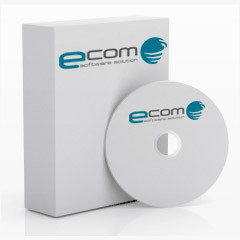 With the eComOxidERPTrackingPlugin store owner can use the OXID ERP interface to control the shipping status of orders. The tedious manual intervention and use of the orders as "shipped" is redundant. It will set the shipping date of the order, the tracking number and you can control with this API call, that internal OXID Shop will sent shipping email to the customer. Wir haben uns auf die OXID Modulentwicklung, OXID ERP Schnittstelle Anbindung und Weiterentwicklung spezialisiert.